If you are a fan of torrents, then obviously you must be familiar with all the popular torrent websites. 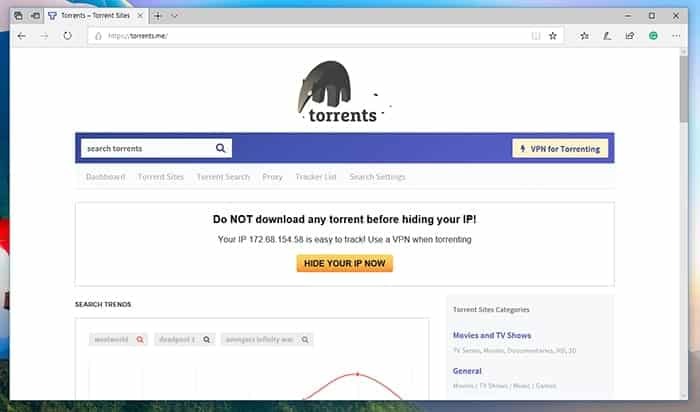 Now, imagine a scenario where your favorite torrent website is temporarily down or you need to download something very important using torrents. What will you do? Is it possible to download that file using torrents? Can we find a search engine for torrents which show all torrent websites listed in for your search results? Well, the answer is yes. Here the term Torrent Search Engine comes into play. 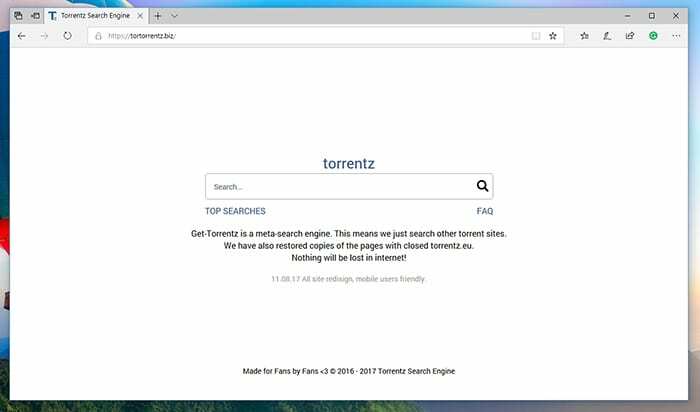 What is Torrent Search Engine? Well, similar to any other search engine such as Yahoo or Google, a torrent search engine does the same thing. They are used to cover a wide range of torrent websites in order to download the file required by the user. In simple words, if you want to download a particular file which is not available on your favorite torrent website then torrent search engines can expand your search, for better results. Now the question arises which torrent search engine is to use?. Well, there are lots of them. And you need to find which one is best suited for you. So here, we are providing you with the list of 10 Best Torrent Search Engine To Download Free Torrents in 2019. Also Read – Is Torrenting Legal? First of all, we all must be familiar with the fact that due to anti-piracy groups, torrents websites disappear over time. They often accused of copyrights act. So this is the reason why we are providing you with the list of 10 Best Torrent Search Engine To Download Free Torrents. 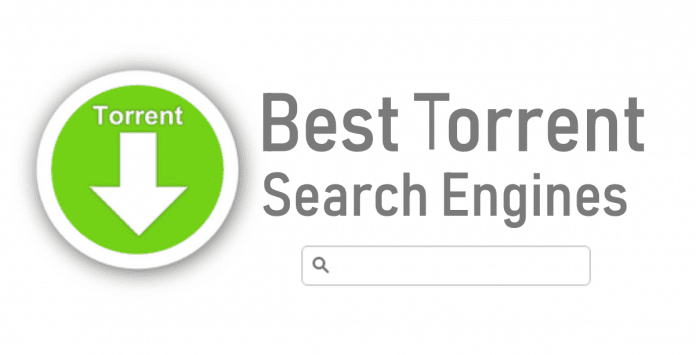 Top 10 Torrent Search Engines you can use right away in 2019. “torrentz2 search engine” As you can judge by the name it is the second version of its popular predecessor website torrentz.com. Despite having a different name and address, this website also manages to surpass its predecessor. At this time, it has over 61 million torrent files indexed in it, which is quite high in number. we can also say that it is one of the most powerful search engines for torrents that you can rely on. Instead of searching for a particular file name and title, the homepage of the search engine offers a quick look into the most popular and verified torrents. Whenever you visit any torrent search engine, you are likely to see a very simple design on them. But if you want something more advanced then you will be glad to hear about Torrents.me. This is an amazingly designed search engine or website, which not only lets you search across millions of torrent files. But also allows you to do more. For instance, if you scroll down on the homepage, you will find a lot of useful information there. Such as there is a whole range of categories and subcategories, which lets you search for a particular term more precisely. For a better experience, we advise you to try it by yourself. 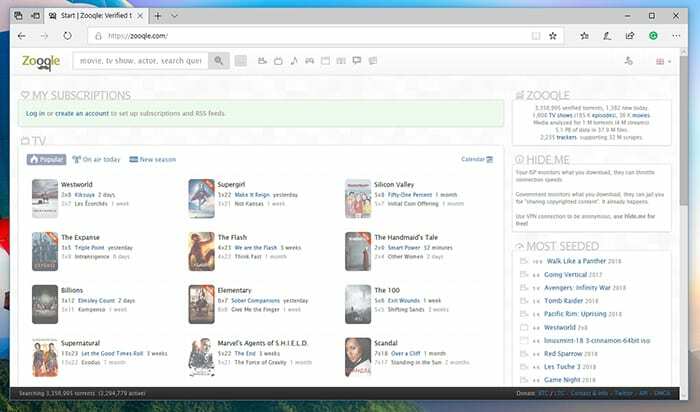 Looking very similar like Google search bar, the website V3eoble follows a different approach than other best torrent search engines. This black colored website is gaining popularity at a very fast pace. It has the options for both image and torrent search, which provides it an edge over the other torrent search engines. The biggest strength of this torrent search engine is that it provides you with very helpful ways to filter the search results. Yes, it’s true. You can include or exclude different torrent websites or even filter it on the basis of languages. At last, you can also look over the most relevant sites or the newest ones. Maybe this is the reason why this website is gaining so much popularity. Worth considering it though. XTORX is one of the best torrent search engines available today. Why best? well, you can experience it by yourself. It has the simplest UI (User interface) among all. By considering its simplicity, never mistake it to judge XTORX as a less powerful torrent search engine. This is absolutely not true. All you need is to type the torrent name in the search bar and the results will be instantly displayed. The saddest part is you won’t be able to apply filters on the search. But still, this torrent search engine is good to go for many users. If you found it appealing then we recommend you to use this as your best and first option. Well, looking at the name you can say it is an elusive one. It’s a very popular website which has many former names of it. 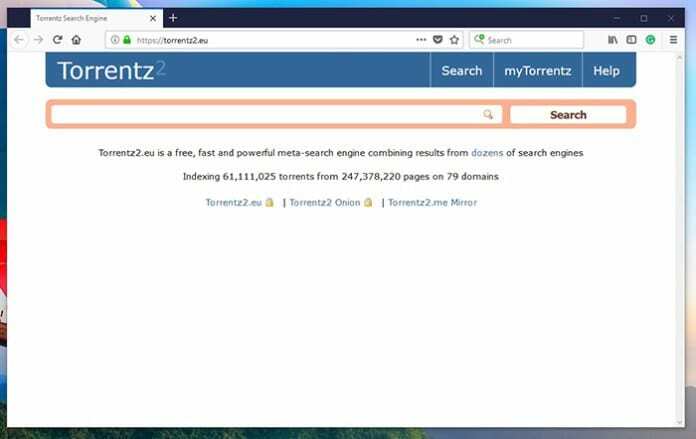 Starting from New Torrents, then HotTorrentz, and now Get-Torrentz. Last year the website got re-designed and the sad part is that it is not optimized according to the mobile devices. Talking about its working. Once you search for torrent in the website search bar, a list of results will pop up in front of you. That list with the names contains the seeder and leecher ratios or even file sizes. This information is enough to let you decide which torrent to choose or which not. Torrent seeker is one of the best-designed torrent search engines in the market available today. The layout is almost perfect. It’s fancy and simple to use at the same time. 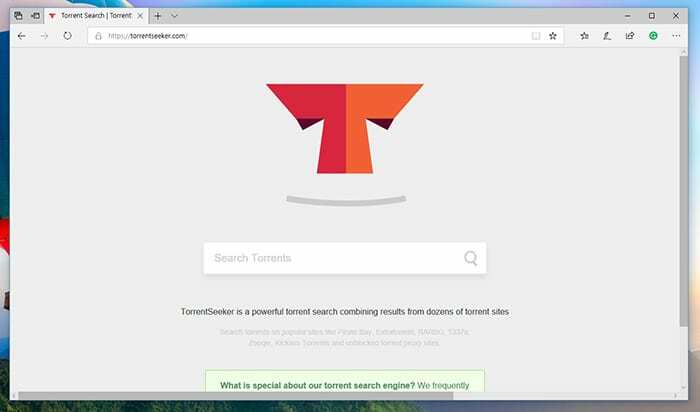 It attracts many people, and maybe this is the strongest reason why we have mentioned it in the list of 10 Best Torrent Search Engines. The best part despite being simple is that it relies on all popular torrent repositories. Moving a few steps ahead. TorrentSeeker also shows the niche-based websites in it. Which is a great feature in itself. So we recommend you to give it a try. Maybe, this is what you are in search for. Google inspired torrent search engine called Toorgle is also on our list. This search engine is just like Torrentz2. In terms of design, you might find it a bit outdated, but we can’t deny the fact that this makes a website more lightweight and fluid. Also, the Toorgle can crawl over 450 torrent sites which are capable enough to find what you want. For better experience try it by yourself. The specialty of Zooqle is that when you open the website. At first glance, you might feel that you are on some social media website. As it has a small search bar and the rest of the part is covered with images. But that’s an illusion. Zooqle offers the most popular categories on the front page, where you can experience the popular movies, TV shows, and music. Clicking on any of these images will bring a deep overview of the title which is a quite different but nice experience to have. Not only that you can also browse for different torrents and download files using your favorite torrent client. It’s as simple as that. Also known as “BitTorrent search engine”. This website is for those who want simplicity in the user experience. The search engine is designed to keep things really simple. Its simplicity can be seen when you type something in the search bar and relevant results are displayed beautifully in front of you. 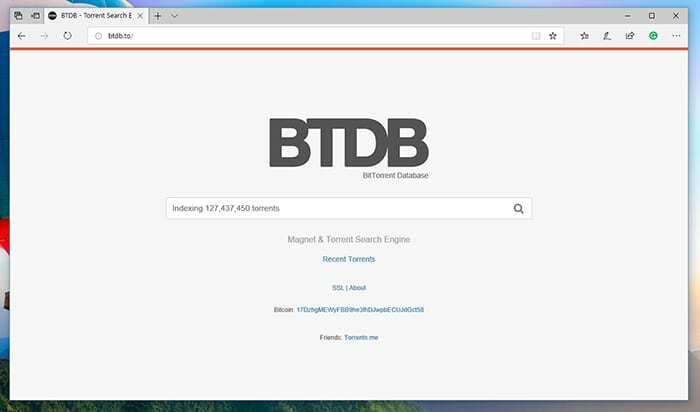 Despite being so simple, this torrent search engine also has some handy features with it. So make sure to keep an eye on them. While performing a search for torrents you can apply filters such as relevant, size, add time and even popularity if you want. This search engine also allows you to see the rating for different torrents which surely help you in making decisions pretty well. When talking about user experience, there is absolutely no competition of this search engine. Once you are in you will see a lot of tutorials on how to use it. Which is a very nice feature for the first-timers. Aside from the search bar you can also include or exclude the torrents you want in your search results. It’s a fairly fast website where it takes almost a second to showcase the relevant results. It is also worth noting that AIO Search isn’t only used when searching for torrents. You can also use it to search for images, videos, subtitles, and even streaming websites as well. So this was all regarding Best Torrent Search Engine in 2019. If you find it useful let us know in the comment section below. Would love to hear that.